Dylan, Dylan Court off New Rome, Lake Vera area in Nevada County. All units are released from the incident, the fire will be re-checked in the morning. Firefighters are still working to fully mop up the fire. 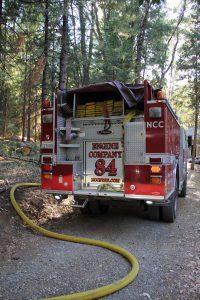 Heavy brush and timber in the area. The cause of the fire is still under investigation but does not appear to be suspicious. Incident Commander declares the fire contained. All resources on scene will be committed for at least an hour and a half to fully control the fire. The cause of the fire is under investigation. All aircraft has been released. Firefighters have a hose lay around the fire, air tankers are being released. The helicopter will check for any spots outside the line. Helicopter is en route from Auburn as a precautionary measure. Ground resources are making access and working on getting a hoseline around the fire. Dylan Air Tac will keep the two tankers overhead until ground resources report full containment. The fire is burning at the bottom of a ravine. Air resources are overhead, IC is confident the fire will be caught in initial attack. No road closures, however avoid New Rome and Dylan Court. 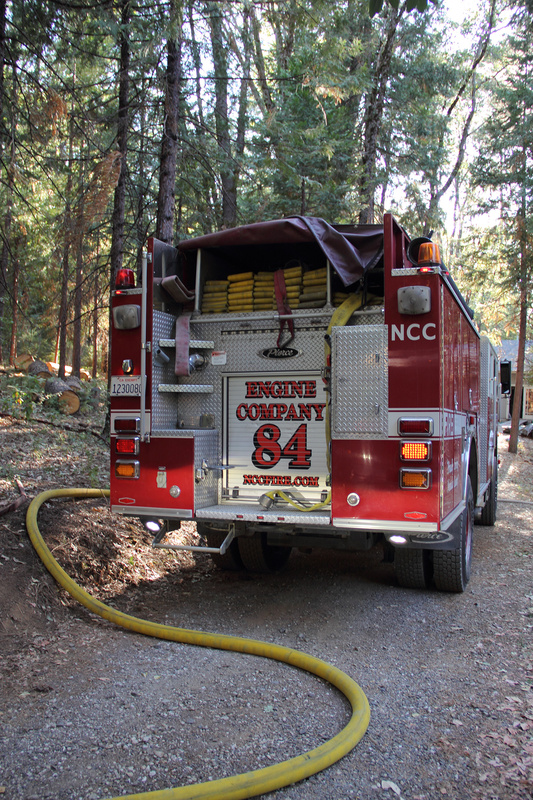 Reported vegetation fire on Dylan Court, off New Rome Road in the Nevada City area. Full wildland response en route. First unit at scene reports a 40 by 40 spot, locals working on it.